It seems everything is getting the “smart” treatment these days and locks are no different. 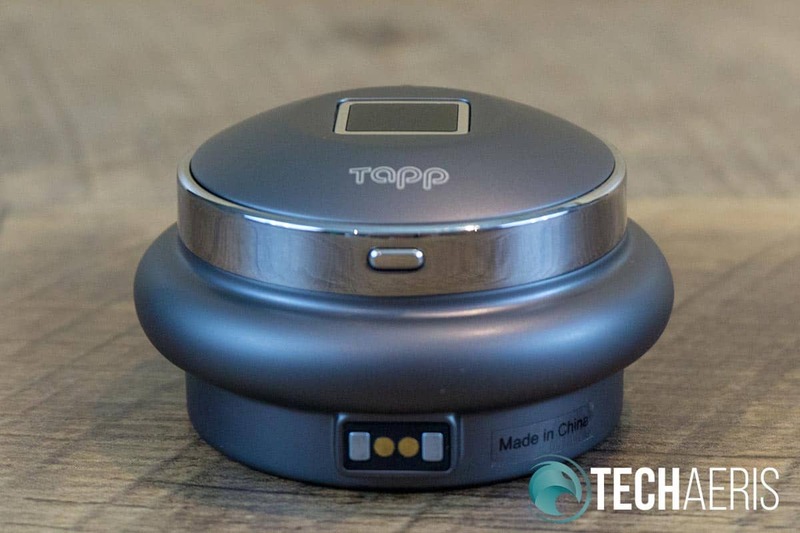 Our Tapplock one review takes a look at a smart padlock which features three different “smart” ways to open it: fingerprint, Bluetooth, or Morse Code. Read on to see what we thought of it! 0.8 seconds to freedom: State-of-the-art capacitive fingerprint sensor allows unlocking in under 0.8 seconds. Stores up to 500 fingerprints for multiple users. Adaptive algorithm means the lock becomes faster and more accurate with each access. Unbreakable design: Bold. Sturdy. Secure. Tapplock one is crafted for the practical. Forged with Zamak 3 zinc alloy metal body and 7mm reinforced stainless steel shackle, strengthened by double-layered lock design with anti-shim and anti-pry technologies. The lock features unparalleled industrial design finished with electroplating. Sharing access is simple: Share Bluetooth access remotely with unlimited users. Set permanent access or limited access with flexible dates and times, and feel free to revoke access whenever you want. Track and monitor access history with time and location from the Tapplock app. 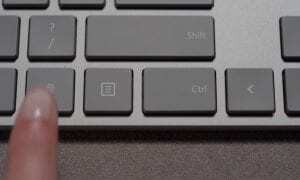 Say goodbye to keys and combinations. Cutting-edge fingerprint technology: Unlock in 0.8 seconds using your unique fingerprint. Store up to 500 different fingerprints per lock for multiple users. Water and weather resistant: Water resistant up to IP66, rust-proof and rain-proof. Fully functional between -10C and 60C (14F and 140F). 3 ways to unlock: Fingerprint unlocking, Bluetooth unlocking using your phone, and backup Morse-Code unlocking by pressing long / short combinations on the power button. Shareable wireless access: Supports wireless Bluetooth access via the Tapplock app. Share & control access remotely to unlimited users, and view access history with time and location. Unbreakable durability: Zamak 3 zinc alloy metal body with cut-resistant 7mm stainless steel shackle, double-layered lock design with anti-shim and anti-pry capabilities makes Tapplock one virtually unbreakable. Rechargeable battery: Lasting up to a year battery life per 2 hours charge time (or 3,500 unlocks per charge). Check remaining power using the Tapplock app. The Tapplock one is quite a beefy lock, it’s larger than your standard lock — at least thickness wise — due to the internal components. The front and back of the lock are about 1 3/4-inch in diameter while the middle section is roughly 2 3/8-inch in diameter. The front of the lock has a square fingerprint scanner in the middle, with an LED light above it and the Tapp logo below it. The ring around the front section is silver and has a small power button located in the bottom of it. 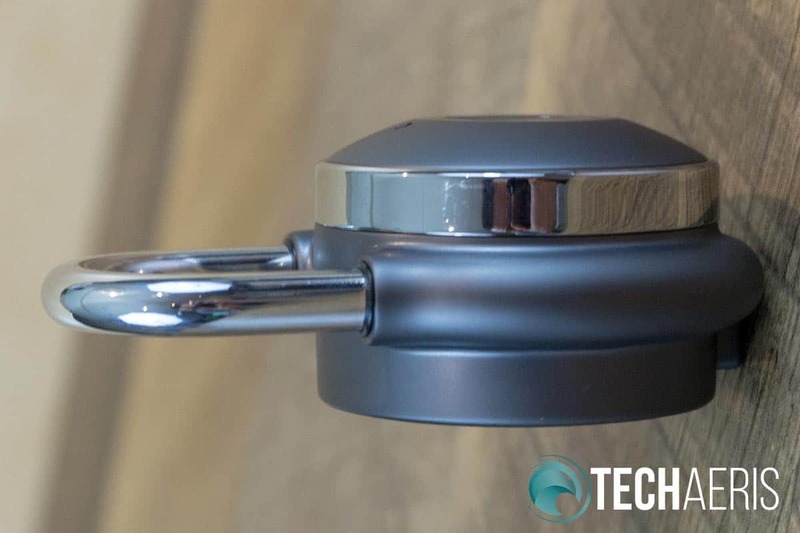 The Tapplock one smart lock. The middle section houses the actual locking mechanism. The stainless steel shackle is also silver, and the middle section continues the same rounded shape around the rest of the lock. The back of the lock is flat and has a panel covering the back. On the underside of the back is the two-pin charging port along with two magnets to hold the charging cable in place. Bottom view of the Tapplock one smart lock. Back to the plate for a moment. There was a JerryRigEverything video that surfaced, showing how easy it was to remove the back and, as a result, be able to tamper with the lock. When he contacted the company, they responded saying it was a defective unit. So while other reviews or reviewers on Amazon and other sites may make mention of this as a “buyer beware,” you can be assured that if your particular device has this defect, Tapp will replace your lock free of charge. The included charging cable is proprietary and attaches to the bottom of the back of the Tapplock one by way of magnets. The other end houses your standard USB-A plug which you can plug into just about any USB-A power adapter. The Tapplock one is definitely a hefty feeling lock with a bit of weight to it. Given its stainless steel and zinc alloy metal body construction, it definitely feels durable. 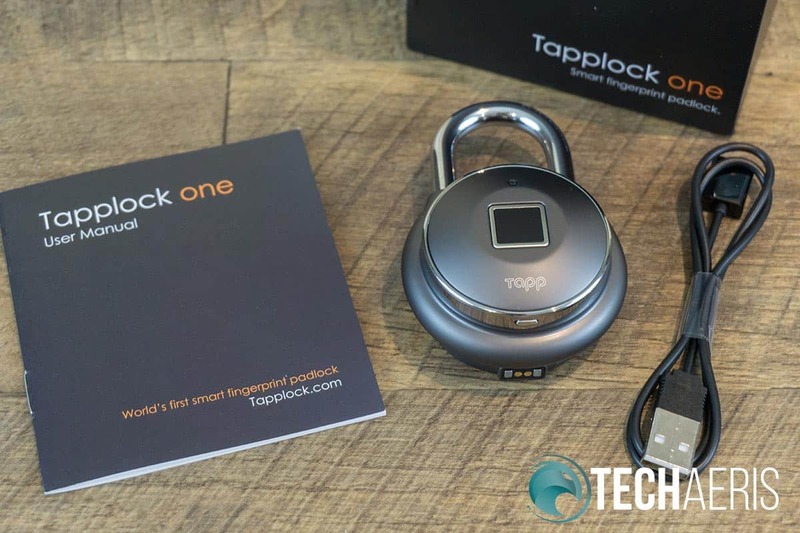 To set up the Tapplock one, you’ll need to download the Tapplock app, create a new account, send a verification code to your email address for setup, and set a password. Once set up, the Tapplock one is super simple to use. Press the power button on the lock and the LED light will turn white. Place your finger on it and it’ll unlock lickety-split. You can also use your Morse Code password to unlock it if your fingerprint doesn’t work. To do so, press the power button three times until the LED light is green. Once green, a short press of the power button indicates a dot while a long press indicates a dash. After each press, the LED light will blink to indicate it accepted the long or short press. The Morse Code option seems a bit finicky at first but once you figure out the “rhythm” so to speak, it’s just as easy as the other two options. Finally, if neither option works for whatever reason, you can open up the app, connect to the lock and open it via Bluetooth. You can also add a number of different fingerprints and even share access to other users through the app. This makes it a great option for families sharing lockers at say a pool or other place. Instead of having to keep track of a key or combination, each user can simply use their fingerprint to open the lock to gain access to the locker. 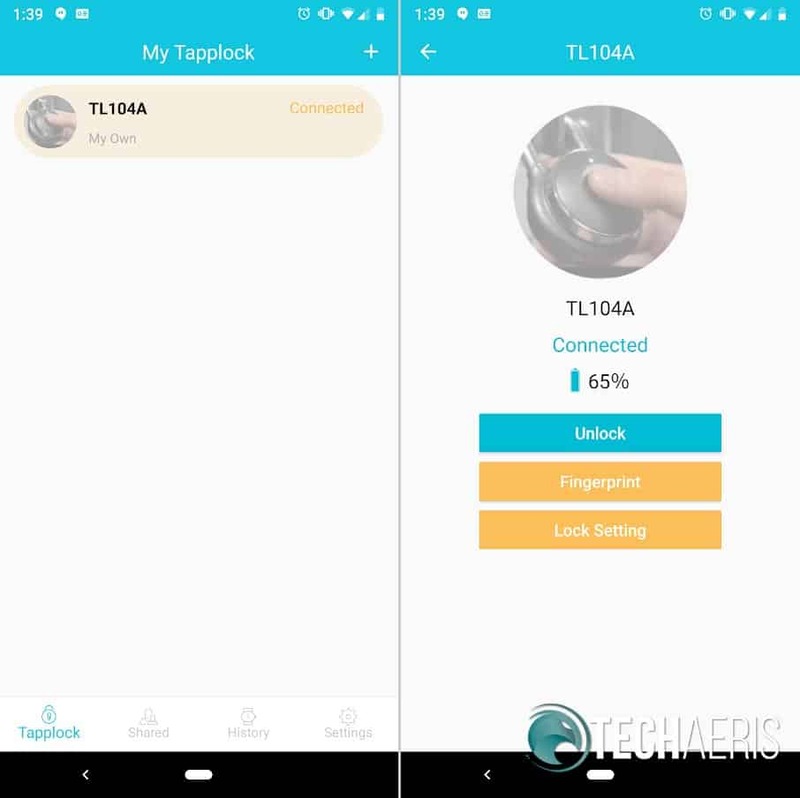 The Tapplock app is pretty simple but does what it’s supposed to. After your lock is set up with the app, the home screen allows you to see any locks you may have. You can share limited 10-minute access or lifetime access (which can be revoked at any time) via email through the app. You can also check the history to see who opened the lock, as well as change various options for the app. Screenshots from the Tapplock app. When you select the lock from the home screen, it shows the current battery level, allows you to unlock it, add or delete a fingerprint, change the lock name, set your Morse Code password, and update the firmware on the lock. As far as protecting your valuables, in the early stages there was a flaw in the software that potentially allowed access via Bluetooth. However, that has long been fixed with a firmware update. On that note, the lock, while tough, may still be cut with a larger size bolt cutter as some sites have noted. Unfortunately, this is something that users of locks must contend with and there are very few locks that can resist being cut open with the right tools. Side view of the Tapplock one. That being said, the lock does feel sturdy and just using a lock can usually be enough of a deterrent to would-be thieves. The lock is IP67 rated, but Tapp does note that while it is open, it is not water-resistant so that is something to keep in mind. Additionally, the optimal operating temperature is between 14°F and 140°F (-10°C to 60°C). In colder climates, like mine, you’ll probably not want to use this lock outside over the winter. 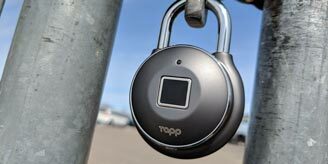 Tapplock estimates a single two-hour charge provides 3,500 unlocks or about one year of normal use. We’ve had the lock for just over six months now. Having used it on and off, the lock is still sitting at 65% remaining battery life. On a related note, it would have been nice to see a Micro-USB or USB-C connection for charging. Given its long battery life and the fact that the charging cable is a proprietary one, I could see the cable easily getting misplaced between the need to charge the lock up. 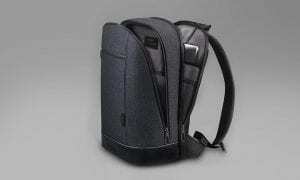 The Tapplock one has a retail price of $99 USD. There are other similar smart locks out there for slightly cheaper but most don’t have the fingerprint option. While it is much more expensive than your standard lock, there is some value given the ease of use and shareability of the lock amongst family members, friends, or coworkers. 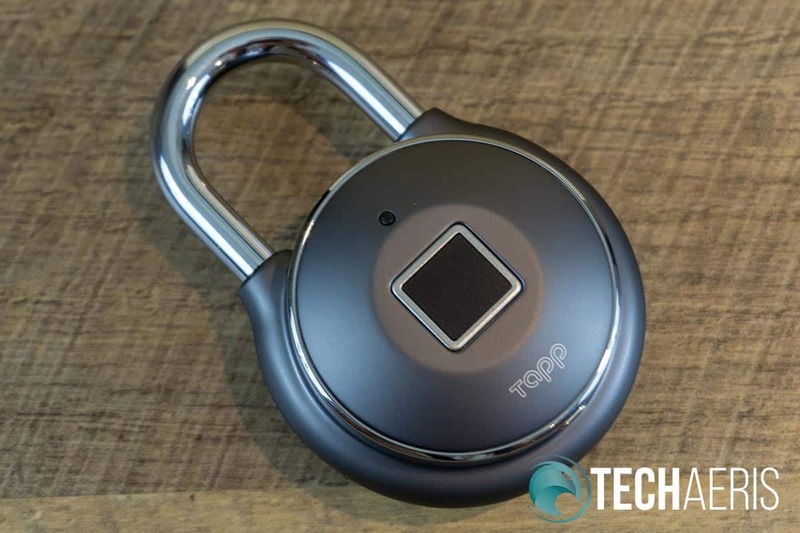 While the Tapplock one had a few issues at launch, those issues have been resolved and, to the best of our testing, seems to be a solid and reasonably secure smart lock. The convenience of not having to keep track of a key and easily add multiple fingerprints or app access to multiple users is definitely worth giving this lock a look. 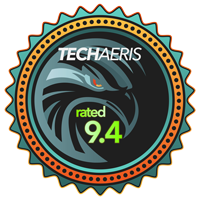 *We were sent a sample of the Tapplock one for the purposes of this review.